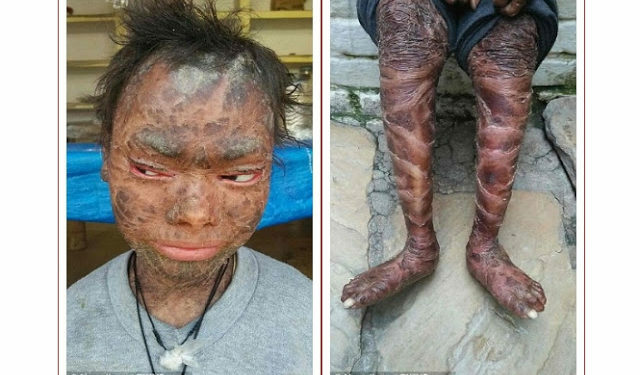 A teenager who sheds her skin every six weeks due to a rare condition that dries it out has been thrown out of school because classmates are scared of her. 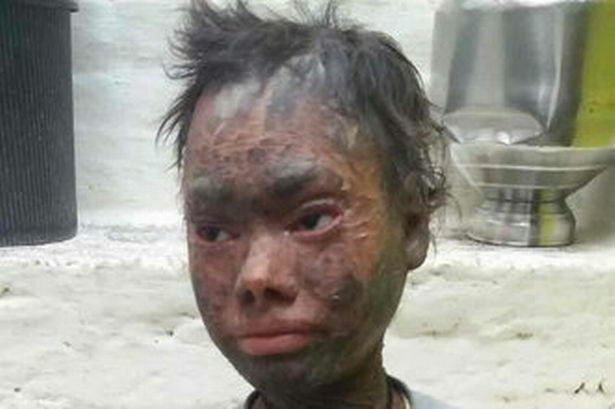 Shalini Yadav, 16, suffers from Erythroderma, an inflammatory skin disease also known as ‘red man syndrome’, which doctors are unable to treat…. She needs to soak her body in water every hour and smear it in moisturiser every three hours to prevent it from seizing up and flaking off. But her family of eight cannot afford the cream and she has shed her skin every 45 days since she was born. And she has now been thrown out of school because the other children are scared of her because of her snake-like appearance. Her desperate mother Devkunwar said: ‘Shalini is suffering from the disease since childhood. ‘We saw several doctors but none of them could cure her and her condition has continued to get worse. ‘I feel so helpless when I see her skin coming off, causing excruciating pain to my child. Devkunwar, a care-giver in a state-funded community centre, is so heart-broken she says death would be kinder to her daughter. Shalini’s two siblings Sejal, 15, and Price, eight, are normal with no such complication.